Goodwin Consulting Group has prepared redevelopment tax increment projections in association with public infrastructure financing programs, public/private partnership proposals, and pass-through negotiations between public agencies. GCG takes into account the required allocation of tax increment as set forth in Assembly Bill 1290, including the 20% low- and moderate-income set-aside and stepped-up distribution required over time, and maximizes the increased flexibility incorporated into the military base reuse chapter of the redevelopment law. GCG has formulated financing strategies that include a combination of land-secured funding mechanisms and tax allocation bonds, which provide funding both in the early years of a project and at buildout of the tax increment-generating land uses. GCG also understands that analyzing fiscal impacts becomes even more critical under these circumstances since the vast majority of property tax increment will likely be utilized for redevelopment projects rather than for discretionary general fund purposes for an extended period of time. 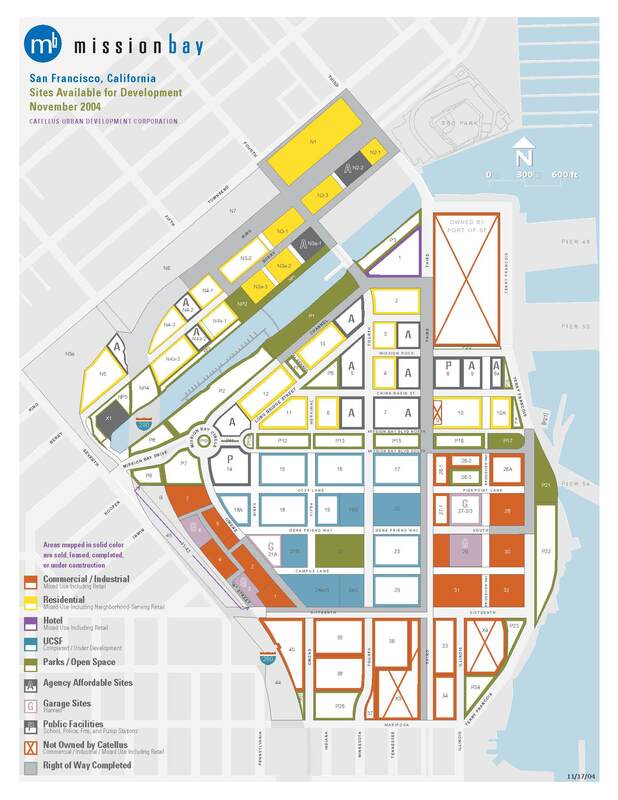 GCG worked with the San Francisco Mayor’s Office of Economic and Workforce Development to estimate the potential tax increment revenue and bonding capacity available from new development in the Rincon Hill area to fund public improvements through an Infrastructure Financing District (IFD). A total of nine residential projects were analyzed, each with their own construction start dates, market values, and absorption periods. Other global assumptions were incorporated into the analysis to determine the projected tax increment revenue from new development, including sales price increases, absorption rates, years to resale, years between sale and value to be reflected on the tax roll, and legislated property tax increases. Two scenarios were analyzed to estimate the amount of tax increment revenue that could flow from the City’s property tax base to an IFD. GCG also analyzed the timing of issuing tax allocation bonds based on when new development in the IFD would generate sufficient revenue to support such bonds. The Maui Redevelopment Agency (MRA), which is the only redevelopment agency in the State of Hawaii, is updating its plans to revitalize downtown Wailuku within the boundaries of the Wailuku Redevelopment Area. GCG is working with the MRA through its planning process to identify the development and redevelopment potential specific to each TMK, analyze when – and how much – property tax revenue will be generated by future development, evaluate various capture scenarios for a Tax Increment District (TID) based on different TID boundary configurations and/or revenue-sharing approaches with the County, and develop cost estimates for each infrastructure component, streetscape improvement, park and open space amenity, or other capital facility needed to facilitate the revitalization process. GCG will forecast project cash flows and prepare a financing plan that examines a variety of financing tools (TID, CFD, and BID) to fund both capital improvements and ongoing services, integrates parking revenue, and explores opportunities for public-private partnerships and public-public partnerships (i.e., County and State). The Mission Bay site was the largest undeveloped tract of land remaining along the San Francisco bay. 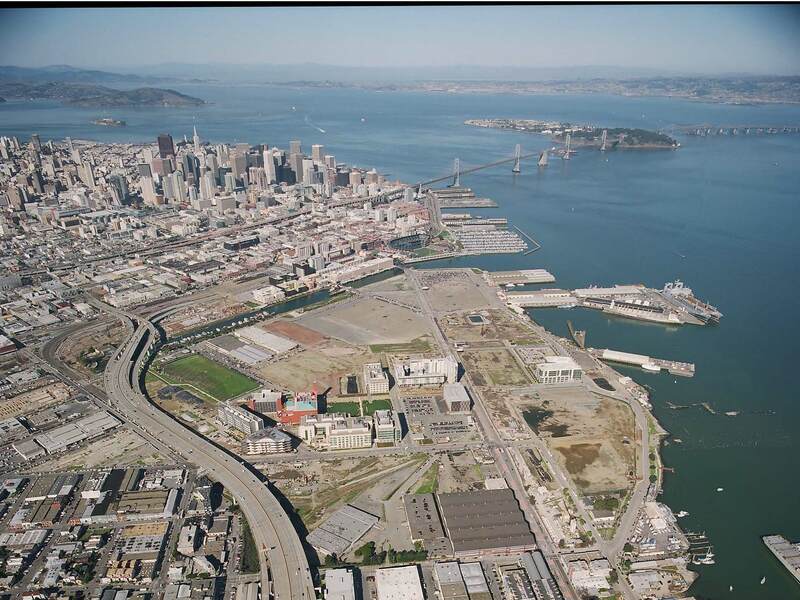 Catellus Development Corporation proposed development of more than 3,000 affordable and market rate housing units, more than 50 acres of office, biotech, and retail development, and the extension of the University of California at San Francisco campus. Catellus and the San Francisco Redevelopment Agency needed to evaluate funding strategies for what has become more than $500 million in infrastructure, as well as ongoing maintenance and other service costs. Ultimately, a funding strategy was developed that relies on a combination of Mello-Roos and tax allocation bonds, in addition to an ongoing special tax for public services. A special tax formula for three separate financing districts was prepared, one of which provides debt service coverage for variable-rate Mello-Roos bonds that will be retired from proceeds of tax allocation bonds sold in future years. Debt service on the Mello-Roos bonds is designed to be paid fully (in one CFD) or partially (in another CFD) with tax increment. Comprehensive tax increment projections were prepared on behalf of the Agency in order to evaluate when tax allocation bonds could be sold in future years and how much infrastructure would go unfunded until bond proceeds were available to reimburse Catellus for any unfunded amounts. GCG works with the landowners and Agency annually to update the projections and to monitor the capacity to sell Mello-Roos bonds and tax allocation bonds; GCG also manages the ongoing administration of the CFDs. To date, the Mello-Roos authorized bonding capacity has been completely utilized, multiple series of tax allocation bonds have been issued, and the funding program has worked exactly as planned even though initial infrastructure cost estimates have more than doubled since the inception of the program. 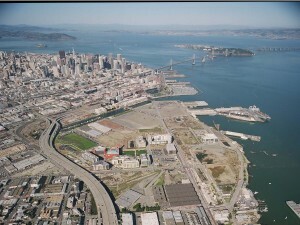 GCG has worked on several other projects, such as Treasure Island, Candlestick Point, Hunters Point, Mint Plaza, 690 Market Street, and Rincon Towers with various landowners and the San Francisco Redevelopment Agency to form CFDs or to forecast tax increment and develop a tax allocation bond program as part of a comprehensive public facilities financing strategy. The Kona Community Development Plan was developed to accommodate the needs of future growth in the Kona area in a proactive way, preserve valued physical and cultural assets, direct growth to appropriate locations within the CDP area, and encourage the construction of affordable, or workforce, housing. The CDP area encompasses the judicial districts of North Kona and South Kona, but focuses on a smaller, designated urban area. The urban area anticipates 10 transit-oriented developments (TODs) distributed from mauka of the Kona International Airport down to the Keauhou area, including redevelopment of Kailua Village. At buildout, nearly 12,700 new dwelling units and 4.8 million square feet of new commercial and industrial space is expected. GCG prepared a Financing Plan to fund nearly $900 million of public facilities and backbone infrastructure required to serve the CDP area, including neighborhood, community, and regional park sites and facilities. A buildout analysis, as well as three scenarios that contemplate initial development in the northern, central, and southern target zones within the CDP, is included in the Financing Plan. An array of financing tools was required to formulate a feasible plan and to match infrastructure needs with appropriate sources of funding, such as general obligation bond and/or tax increment financing, state revolving fund and federal funding commitments, revenue bonds, community facilities districts, and development impact fees. A detailed tax increment analysis was included in the financing plan to demonstrate how the flow of property tax revenues would be divided between the Tax Increment District and the County. The financing strategy recognizes the critical need in the CDP area for affordable housing and is designed to facilitate its construction. Finally, the Financing Plan incorporates a detailed set of financing policies to guide the use of financing tools in a consistent manner. The analysis at this regional planning scale will likely lead to more detailed work as TOD master plans, individual specific plans, and other development opportunities emerge.